What Happens In A Toxicology Lab? What Happens In A Toxicology Lab? How Do They Know If A Driver Was On Drugs? You see an article about a horrific car crash in the local news. The injuries are severe, the wreckage is spectacular, and the driver at fault left the scene in handcuffs, but the police tell reporters that the responsible party was only suspected of driving drunk. Why can’t police confirm that the driver was drunk at the scene of the accident? And why does it take days, or even weeks, for toxicology tests to come back? When police see drivers behaving erratically on the road, they can perform a field sobriety test to check for common signs that a driver might be intoxicated. They can also use a breathalyzer, which measures how much alcohol is present in someone’s blood. These may be enough to indicate that a driver needs to be taken off the road before they cause a crash. But once a crash has already happened, the driver at fault may need medical attention as well, and police are more concerned with removing debris from the road and getting injured people treated quickly. Alcohol is also only one of dozens of possible substances that can dull drivers’ reflexes and impair their judgment on the road. Unfortunately, there’s no magic box that police or emergency responders can use to determine exactly what someone’s consumed, and if the driver at fault is under the influence of illegal drugs, they won’t be quick to tell that to an officer. 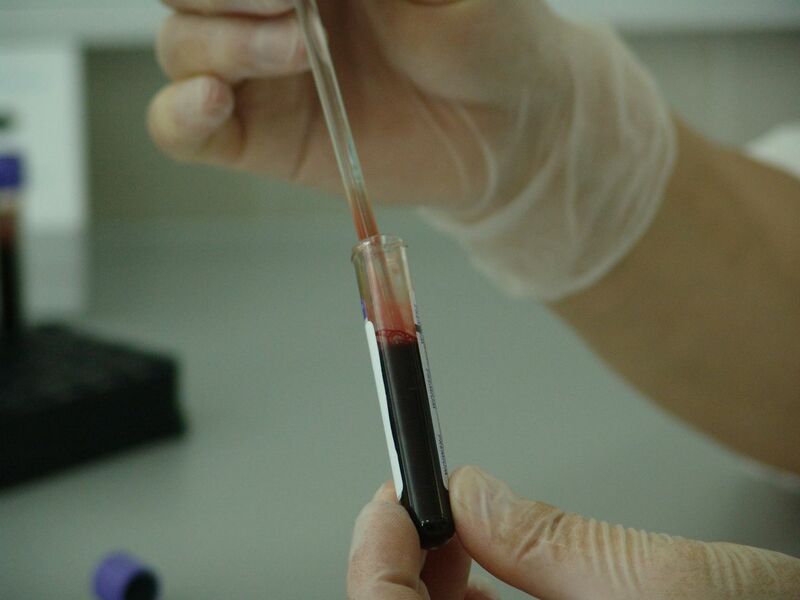 In order to figure out exactly what has impaired a driver who’s suspected of getting behind the wheel while under the influence, police need to send a sample of that driver’s blood to a toxicology lab. In shows like CSI, a high-tech machine scans a tiny drop of blood and returns a complete set of results in the space of a single commercial break. In real life, toxicologists actually must run a series of tests, looking for indicators of many different intoxicants. Liquid Chromatography and Tandem Mass Spectrometry are used to determine the distinctive markers unique to different types of drug. Some, but not all, intoxicants produce markers that “hang around” in someone’s system for days or weeks after consumption; toxicologists may still be able to detect the use of benzodiazepines (a type of sedative) up to 6 weeks after ingestion in heavy users. The more possible intoxicants scientists need to test for, the longer those tests will take. Like any government agency, state-run toxicology labs do the best they can with the resources they’re given. Forensic scientists are highly trained professionals, with most forensic science positions in Washington State’s crime labs requiring a Bachelor of Science degree at minimum. Forensic scientists don’t spend all day, every day in the lab. Depending on their specialization, they may visit crime scenes to collect evidence, write reports on their findings, and go to training sessions to keep up to date in their field. They may also be called to testify about their findings in court—and given the sheer number of controlled substance abuse cases in Washington State, scientists who work on these cases spend a lot of time in court. In fact, Washington state lab scientists may spend two days out of five in their average work week testifying instead of working in the lab. If you have been injured by a driver who you suspect was under the influence, be aware that the wheels of justice are turning—but they may turn very slowly. The state’s criminal case against the intoxicated driver will proceed at a different pace from your civil case. If your injuries are severe, it may be time to speak with a personal injury attorney with experience handling cases involving injuries caused by drunk drivers and drugged drivers. Want To Learn More About Your Legal Rights After A Car Accident? Award-winning attorney Chris Davis has written a series of FREE books about car accident and other personal injury cases in Washington state. These books answer common legal questions that people and their loved ones may have about their legal rights, including how to handle your claim on your own and when you might need an attorney's help. 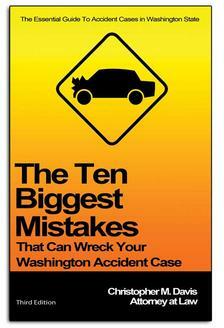 Get your complimentary copy of "The Ten Biggest Mistakes That Can Wreck Your Washington Accident Case" absolutely free by clicking the "Order Now" button below.